Serving the Greater Cleveland Area for Over 83 Years! 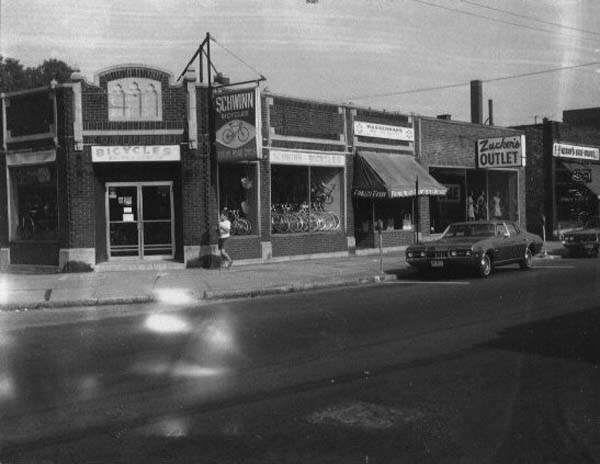 Back in 1931, at 2184 South Taylor Road in Cleveland Heights, Ohio, Paul Steinfurth started a business called Taylor Road Tire & Battery, selling car tires and car batteries, as well as selling and servicing Schwinn bicycles. Paul Berendsohn and Martin Schuftan, who converted the business to 100% bicycle sales and service under the name Taylor Road Cycle, purchased the business in 1958. Paul and Martin built the business until 1963, when Martin left to pursue other interests and Paul took on a partner, Heinz Otte. Exercisers and Fitness Equipment were added to the store's line of bicycles in 1968. Heinz and Paul remained partners until 1974 when Paul retired, moved to Florida, and Tom M., who had worked at the store since 1965, came on board as partner. Business flourished and Heinz and Tom opened a second store, Mentor Cycle & Fitness in May of 1976. Sadly, at a very young 48 years of age, Heinz passed away suddenly in 1978. As a man who would give you the "shirt off his back" and could put a smile on anyone’s face, he was greatly loved and is still sorely missed. Paul Berendsohn, an honest, hard working, generous and talented man who was also greatly loved, enjoyed retirement in Florida until he passed away in 1996. Both Paul and Heinz were truly wonderful men, who believed in hard work, honesty, and doing the job right in everything they did. Tom continues today as the hands-on owner of both stores. To strengthen their business identity, the names of both stores were changed to Cycle Sport & Fitness in the early 1990's.